I've been playing around with different types of scrambles for my little one, and came up with this one this morning. 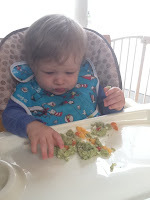 I've been trying to think of a way to ensure that my little one gets the most bang for his buck out of each bite, considering half of it always ends up on the floor. 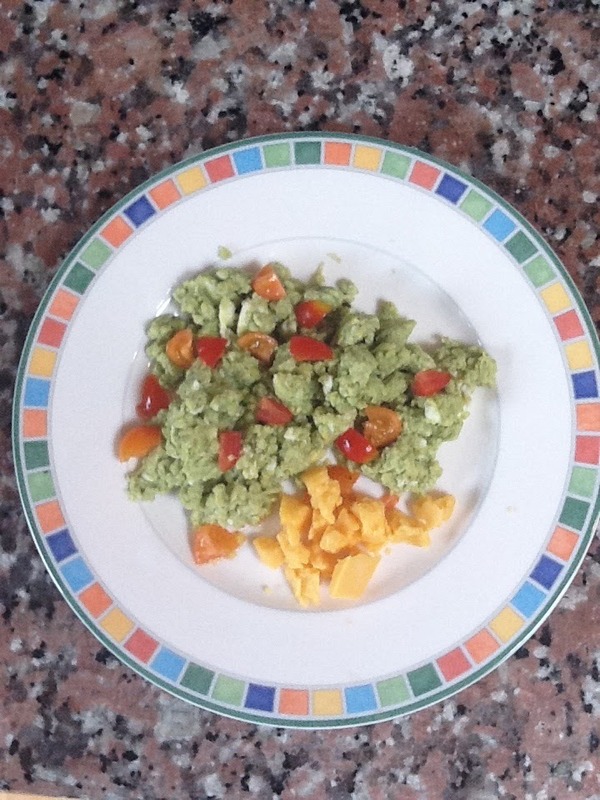 So, I decided to puree some veggies and mix them right in with the egg batter and then scramble, hence "green" eggs. After investigating the eggs for a minute, my little guy dug right in! This recipe is for babies 8+ months. 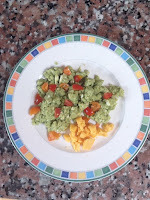 In a small bowl, mix butternut squash puree, broccoli puree, mashed avocado. Add beaten egg to puree mixture and stir until blended. Heat a small skillet over med heat, add a tiny bit of olive oil if you like. Pour egg and veggie mixture to the skillet add a pinch of parsley and cook. When eggs are finished put on a plate to cool for a minute. Cut up tomatoes and cheddar cheese and add them to cooled eggs. 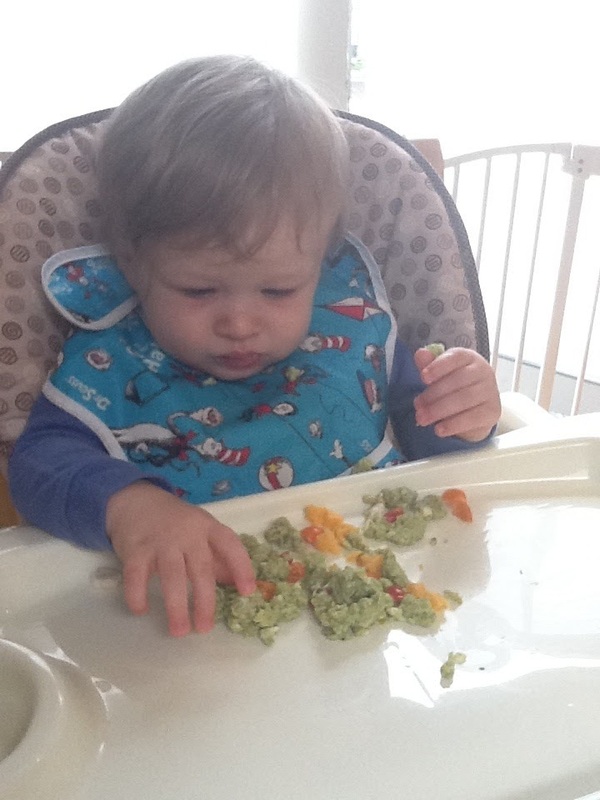 Serve right on high chair tray and enjoy!